Arguably showing the most important collection of artistic textiles in Spain. With national, Spanish, and international exhibits, known throughout the world, filling Sitges with fabrics, creativity, shapes and colours. via: Edificio Miramar, Casino Prado and AEP booth in the Patchwork Fair. Mon-Sat: 10:00 – 13:00h. & 14:00 – 17:00h. Sunday 9:30 – 12:30h. & 13:30 – 16:30 h.
Handiquilter: 10:30 – 13:30h. & 15:30 – 18:30 h.
*Children’s workshops free of charge for under 15’s. 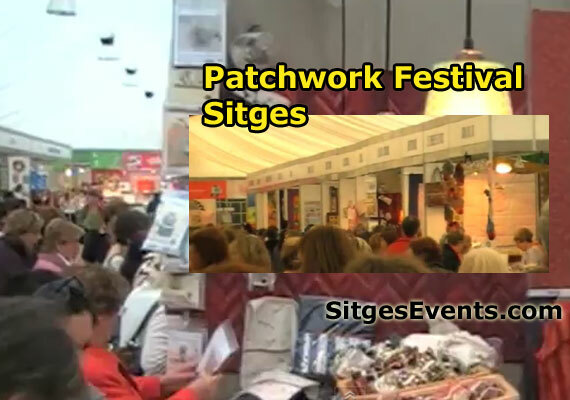 Event categories: General Day Events, Sitges Day Events, Sitges Festivals, and Sitges for kids.